Meet Yong Lishchynsky, owner and operator of Yong’s Alterations in Castleton, Indianapolis, Indiana. She is a Master Alterationist with more than 32 years of experience in the tailoring industry. 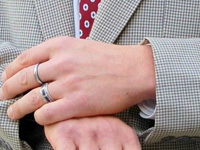 Fifteen years ago, Yong Lishchynsky opened her first business, providing alterations for men, women, and children. 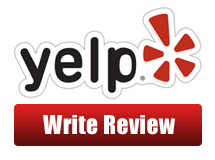 From there, her business flourish quickly and earned her a significant and remarkable reputation in Indianapolis. This true success inspired and motivated her to expand her business nationwide; subsequently partnering with high profile and exclusive clientele. Yong Lishchynsky became a skilled and highly proficient fashion couture alteration specialist while studying at the Dress Design School International in both Germany and Korea. From there, her journey progressed. 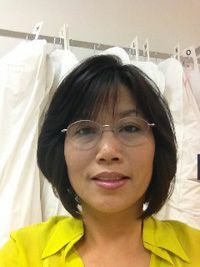 She spent 7 years working for several national men’s clothing stores tailoring men’s suits, tuxedos, clothing, and more; thus expanding her knowledge and proficiency in alteration services even more. Her success speaks for itsself; have allowing every experience and encounter advance her skills as a professional tailor. Not only does Yong Lishchynsky’s success speak for itself, her work does as well. 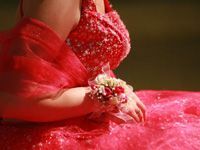 She received an award for being voted “Best Alterations” by the Indianapolis Monthly Magazine. On top of all of these extraordinary credentials, her success has allotted her opportunities to partner with several national men and women’s clothing brands. Over the past three decades, it is obvious that Yong Lishchynsky has worked hard and achieved an outstanding reputation as an accomplished alterationist within the city. 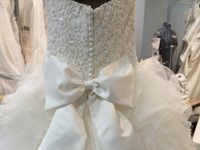 Yong Lishchynsky is especially proficient in wedding dress alterations, beaded and sequin garments, leather clothing and fabrics, evening gowns, tuxedos, men’s suits, and much more. 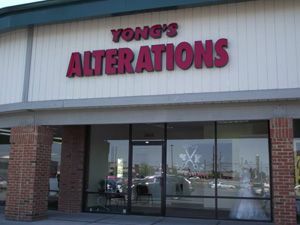 Contact Yong’s Alterations at 317-845-9077 to schedule an appointment for custom fittings, wedding dress alterations, or additional tailoring services in Indianapolis, Indiana.